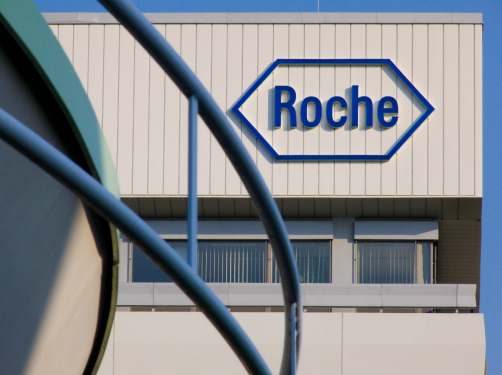 Roche has announced the approval of the European Commission for its PD-L1 inhibitor Tecentriq (atezolizumab) when used in combination with Avastin (bevacizumab), paclitaxel and carboplatin as a first-line treatment for metastatic non-squamous non-small cell lung cancer (NSCLC). Further, the EC specified that this combination should only be used in patients with EGFR mutant or ALK-positive NSCLC after appropriate targeted therapies have failed. The decision was supported by the submission of Phase 3 data drawn from 1,202 participants which demonstrated that Roche’s combo extended median overall survival by 19.8 months compared to 14.9 months with Avastin and chemotherapy alone in the intent-to-treat population. The combo also improved progression-free survival (PFS) by 41% compared to Avastin and chemotherapy, while overall response rate (ORR) stood at 56.4% of people compared to 40.2%.